Need a quick and easy baby card? 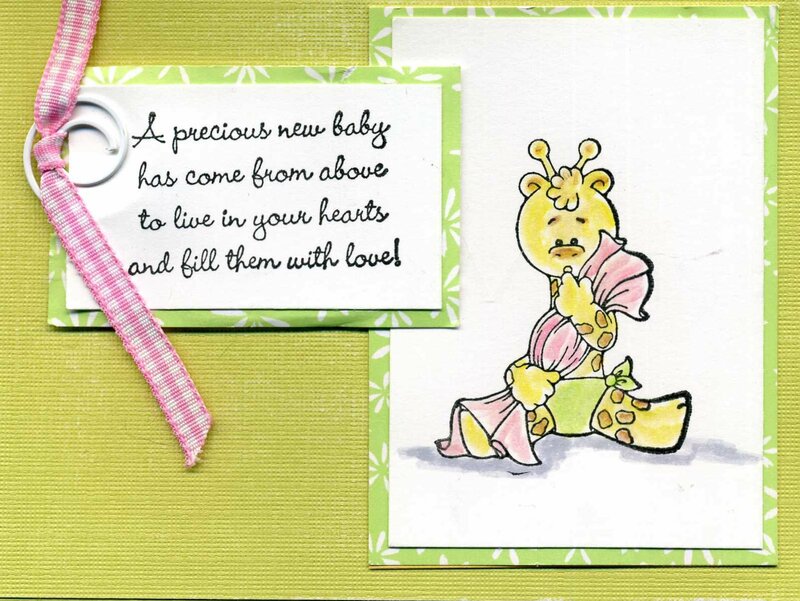 This card features the Hello Baby stamp set and the Gentle Beginnings Paper Collection. Stamp with Black Noir Palette Ink. Color the image! Add a swirly clip! Adhere everything together and you're done!